The first week of the course is an introductory week, where you will learn about linguistic structure, teaching practice and lesson planning. Theory classes continue throughout the course, taking place from Monday to Friday, from 9.30am to 12.30am. Teaching Practice takes place Monday to Friday, from 2pm to 4pm, from the second week until the very last day of the course. After every teaching session, the tutor will give each student feedback on their work and will provide advice on how to improve their performance for their next class. On Saturdays, all students go explore the area with their host families. The work load during the week is quite extensive. Students will be required to prepare most of their lessons outside class time. It take 1.5 to 2h every day to complete the required work, therefore, evening activities are not recommended during the course period. However, they are available and if the students feel they have time to attend, they are very welcome to do so. Accommodation: full board, host family – the students can choose to stay with the same host family they were living with from the beginning of the program. They are included in all family events, including birthday celebrations, family outings, weddings etc. Internship: Monday to Friday, the students are observer teachers at the local English language school, from 10am to 1pm and from 2pm to 5pm. Their duties include: filling in report sheet after every class, assisting the teachers before, during and after their teaching time (e.g. preparing materials, printing them out etc). In the evenings, the students attend Irish lessons and cultural sessions such as traditional music events, theatre performances, Irish dance workshops etc.  On Saturdays, students go on day trips: Slieve League, Donegal Town, Derry, Sligo, Westport. Accommodation: full board, host family – the students live with a Spanish host family near the centre of the city and close to sports and culture facilities. Internship: Monday to Friday, the students are observer teachers at one of the local English language schools, from 10am to 1pm and from 2pm to 5pm. Their duties include: filling in report sheet after every class, assisting the teachers before, during and after their teaching time (e.g. preparing materials, printing them out etc). In the evenings, the students attend Spanish lessons and participate in sport activities such as training with a team of their choice (within the local options) and cultural activities such as theatre & dance, cookery workshops, film clubs etc. all run through Spanish. On Saturdays, students go on day trips: Madrid, Toledo, Ávila, Segovia or Lisbon.